Certain features of the Misfit Properties may be subject to additional guidelines, terms or rules, which will be posted in connection with such features. All such additional terms, guidelines and rules are incorporated by reference into these Terms. In the event of a conflict between the additional terms or any other agreement and any provision in these Terms, the additional terms will prevail, but only with respect to the portion of the Misfit Properties to which the additional terms apply. By accessing or using the Site or Services, including by downloading and installing the Apps or registering for or using the Services, you represent that (1) you have read, understand and accept (on behalf of yourself or the entity that you represent) the Terms; (2) you are of legal age to form a binding contract with Misfit; and (3) you have the right, authority, and capacity to enter into these Terms (on behalf of yourself or the entity that you represent). If you do not agree with all of the provisions of these Terms, do not access and/or use the Misfit Properties. The Misfit Properties, and the information and content available on the Misfit Properties are protected by copyright laws throughout the world. Subject to the Terms, Misfit grants you a limited license to reproduce portions of the Misfit Properties for the sole purpose of using the Misfit Properties for your personal, non-commercial use. 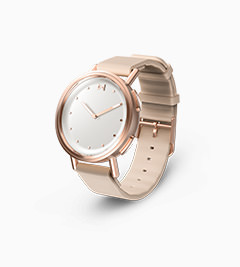 Other trademarks, logos, and images that are available in connection with the Service are the property of their respective owner, which may or may not be affiliated with, connected to, or sponsored by Misfit. Subject to the terms and conditions herein and in consideration of the rights to use the Service granted by Misfit to You, Misfit grants you a personal, revocable, limited, non-transferable, non-sublicenseable license to use the App on either (1) any iPhone, iPad, or iPod Touch that you own or control, or (2) any Android-enabled mobile device that you own or control. With respect to any App accessed through or downloaded from the Apple App Store, Google Chrome Web Store, Google Play marketplace, or any similar store or marketplace (each, an “App Store” and references to an App Store include the corporate entity and its subsidiaries making such App Store available to you), you agree to comply with all applicable third party terms of the relevant App Store (e.g. Apple App Store’s “Usage Rules”) (the “Usage Rules”). 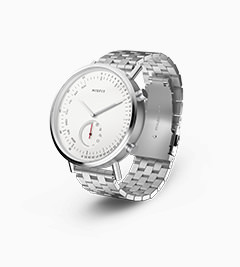 Subject to the terms and conditions herein, Misfit grants you a personal, revocable, perpetual, limited, non-sublicenseable license to use the software embedded in the Device (“Firmware”) in object code form only, solely for and as necessary to use the Device for your personal, non-commercial use. The rights granted to you in the Terms are subject to the following restrictions: (a) you shall not license, sell, rent, lease, transfer, assign, reproduce, communicate to the public, distribute, host, or otherwise commercially exploit the Misfit Properties or any portion of the Misfit Properties; (b) you shall not frame or utilize framing techniques to enclose any trademark, logo, or other Misfit Properties (including images, text, page layout, or form) of Misfit; (c) you shall not use any metatags or other “hidden text” using Misfit’s name or trademarks; (d) you shall not modify, translate, adapt, merge, make derivative works of, disassemble, decompile, reverse compile, or reverse engineer any part of the Misfit Properties except to the extent the foregoing restrictions are expressly prohibited by applicable law; (e) you shall not use any manual or automated software, devices, or other processes (including spiders, robots, scrapers, crawlers, avatars, data mining tools, or the like) to “scrape” or download data from any web pages contained in the Site (except that we grant the operators of public search engines revocable permission to use spiders to copy materials from the Site for the sole purpose of, and solely to the extent necessary for, creating publicly available searchable indices of the materials, but not caches or archives of such materials); (f) you shall not access the Misfit Properties in order to build a similar or competitive website, application, or service; (g) except as expressly stated herein, no part of the Misfit Properties may be copied, reproduced, communicated to the public, distributed, republished, downloaded, displayed, posted, or transmitted by you in any form or by any means; and (h) you shall not remove or destroy any copyright notices or other proprietary markings contained on or in the Misfit Properties. Any future release, update, or other addition to the Misfit Properties shall be subject to the version of these Terms published by Misfit as of the date you install or use such future release, update, or other addition. You agree, however, that we are not obligated to create or provide any support, corrections, updates, upgrades, bug fixes, or enhancements of the Misfit Properties. 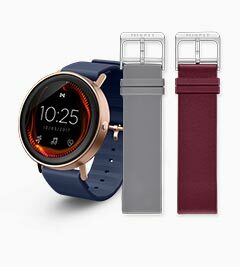 Misfit, and its suppliers and licensors, reserve all rights not granted in the Terms. Any unauthorized use of the Misfit Properties terminates the licenses granted by Misfit pursuant to the Terms. In order to use certain features of the Misfit Properties, you may have to create an account (“Member Account”). When you set up your Member Account, you will be required to create log-in credentials by providing certain types of personal information (“Login Credentials”). You are responsible for maintaining the confidentiality of your Login Credentials, and are solely responsible for all activities that occur using your Login Credentials. You agree not to allow a third party to use your Login Credentials at any time. Misfit reserves the right to terminate any username and password, which Misfit reasonably determines may have been used by an unauthorized third party. YOU ARE ENTIRELY RESPONSIBLE FOR MAINTAINING THE CONFIDENTIALITY OF YOUR LOGIN CREDENTIALS AND YOU WILL BE RESPONSIBLE FOR ANY AND ALL ACTIVITIES THAT ARE CONDUCTED THROUGH YOUR MEMBER ACCOUNT. You may also link your Member Account with certain third party social networking services, including Facebook, (each an “SNS Account”) by either (1) providing your SNS Account login information to Misfit; or (2) allowing Misfit to access your SNS Account, if either or both methods of access are permitted under the applicable terms and conditions that govern your use of each SNS Account. You represent that you are entitled to disclose your SNS Account login information to Misfit and grant Misfit access to your SNS Account without breach by you of any of the terms and conditions that govern your use of the applicable SNS Account and without obligating Misfit to pay any fees or making Misfit subject to any usage limitations imposed by such third party service providers. PLEASE NOTE THAT YOUR RELATIONSHIP WITH THE SOCIAL NETWORKING SERVICE PROVIDERS ASSOCIATED WITH YOUR SNS ACCOUNTS IS GOVERNED SOLELY BY YOUR AGREEMENTS WITH SUCH SOCIAL NETWORKING SERVICE PROVIDERS. Descriptions, images, references, features, content, specifications, products, prices, and availability of any products or services are subject to change without notice, and our current prices can be found on the Site. We make reasonable efforts to accurately display the attributes of our Devices, including the applicable colors; however, the actual color you see will depend on your computer system, and we cannot guarantee that your computer will accurately display such colors. The inclusion of any products or services on the Site at a particular time does not imply or warrant that these products or services will be available at any time. It is your responsibility to ascertain and obey all applicable local, state, federal, and international laws (including minimum age requirements) in regard to the possession, use, and sale of any item purchased through the Site. By placing an order, you represent that the Devices ordered will be used only in a lawful manner. We reserve the right, with or without prior notice, to limit the available quantity of or discontinue any product or service; to honor or impose conditions on the honoring of, any coupon, coupon code, promotional code, or other similar promotions; to bar any user from making any or all purchases; and to refuse to provide any user with any product or service. Title and risk of loss for any purchases pass to you upon our delivery to our carrier. When you place an order, we will not charge you until we ship the items ordered. We reserve the right to ship partial orders (at no additional cost to you), and the portion of any order that is partially shipped may be charged at the time of purchase. You understand that the Misfit Properties, including, but not limited to, the Devices and Apps, are not designed, intended, authorized, or warranted to be suitable for use in the following “Unauthorized Applications”: primary health monitoring, life support applications, devices or systems; direct life support machines; military or space equipment requiring radiation hardened components; and Enhanced 911 or the E911 emergency calling systems. You warrant that you will not use the Misfit Properties for or with any Unauthorized Applications, and you further agree to, without limitation, defend, indemnify, and hold harmless Misfit from and against any and all claims, suits, actions, proceedings, damages, liabilities, costs, and expenses (including, but not limited to, reasonable attorneys’ fees) arising out of or in connection with your breach of this Section. You further acknowledge and agree that Misfit has no obligation to monitor your use of the Misfit Properties or any vital signs, or biometric information, or any other information uploaded by or through the Misfit Properties to Misfit’s servers, and that the Misfit has no obligation to take any action in response to such information. 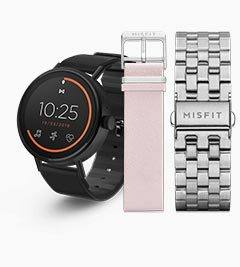 Misfit provides certain limited warranties to our Devices as set forth on our Warranty Page, which is incorporated herein by reference. 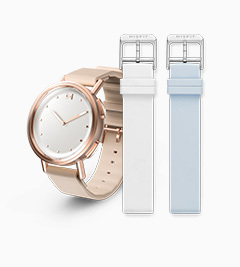 In the event the Devices do not conform to the limited warranties set forth therein, Misfit will provide you the remedy set forth on the Warranty Page. TO THE EXTENT NOT PROHIBITED BY LAW, IN NO EVENT SHALL MISFIT (OR OUR SUPPLIERS AND LICENSORS) BE LIABLE FOR PERSONAL INJURY, OR ANY INCIDENTAL, SPECIAL, PUNITIVE, EXEMPLARY, DIRECT, INDIRECT, OR CONSEQUENTIAL DAMAGES WHATSOEVER, INCLUDING, WITHOUT LIMITATION, DAMAGES FOR LOSS OF PROFITS, LOSS OF DATA, BUSINESS INTERRUPTION, OR ANY OTHER COMMERCIAL DAMAGES OR LOSSES, ARISING OUT OF OR RELATED TO YOUR USE OR INABILITY TO USE THE MISFIT PROPERTIES, HOWEVER CAUSED, REGARDLESS OF THE THEORY OF LIABILITY (CONTRACT, TORT, OR OTHERWISE) AND EVEN IF MISFIT HAS BEEN ADVISED OF THE POSSIBILITY OF SUCH DAMAGES. TO THE MAXIMUM EXTENT PERMITTED BY APPLICABLE LAW, In no event shall MISFIT’s total liability to you for all damages (other than as may be required by applicable law in cases involving personal injury) exceed the greater of: (1) the amounts paid by you to MISFIT during the twelve (12) months immediately preceding the events or omissions giving risk to such damages, or (2) the amount of one hundred U.S. dollars ($100.00). The foregoing limitations will apply even if the above stated remedy or any other remedy set forth in these Terms fails of its essential purpose. ACCESS TO, AND USE OF, THE MISFIT PROPERTIES IS AT YOUR OWN DISCRETION AND RISK, AND YOU WILL BE SOLELY RESPONSIBLE FOR ANY DAMAGE TO YOUR DEVICE OR COMPUTER SYSTEM, OR LOSS OF DATA RESULTING THEREFROM. Acknowledgement. 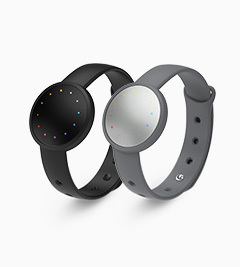 Misfit and you acknowledge that these Terms are concluded between Misfit and you only, and not with any App Store. Misfit, not the App Store, is solely responsible for the App and the content thereof. To the extent these Terms provide for usage rules for the App that are less restrictive than the Usage Rules as defined in these Terms, or otherwise are in conflict with the application store terms of service, the more restrictive or conflicting App Store terms of service or Usage Terms shall apply, as applicable. Maintenance and Support. 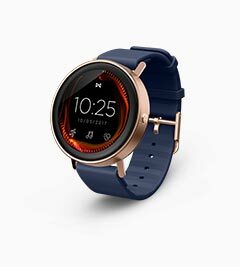 Misfit is solely responsible for providing any maintenance and support services (if any) with respect to the App, as specified in these Terms, or as required under applicable law. Misfit and you acknowledge that the App Store has no obligation whatsoever to furnish any maintenance and support services with respect to the App. Warranty. Misfit, and not the App Store, is responsible for product warranties, whether express or implied by law, as described in these Terms. If the App fails to conform to any applicable warranty, you may notify the App Store, and the App Store may refund the purchase price of the App to you; and to the maximum extent permitted by applicable law, the App Store will have no other warranty obligation whatsoever with respect to the App, and any other claims, losses, liabilities, damages, costs, or expenses attributable to any failure to conform to any warranty will be Misfit’s responsibility. Product Claims. Misfit and you acknowledge that the App Store is not responsible for addressing any of your or any third party’s claims relating to the App or your possession or use of the App, including, but not limited to: (1) product liability claims; (2) any claim that the App fails to conform to any applicable legal or regulatory requirement; and (3) claims arising under consumer protection or similar legislation. These Terms limit Misfit’s liability to you beyond what is required under applicable law. Intellectual Property Rights. Misfit and you acknowledge that, in the event of any third party claim that the App or your possession and use of the App infringes that third party’s intellectual property rights, the App Store will not be responsible for the investigation, defense, settlement, and discharge of any such intellectual property infringement claim. Developer Name and Address. Misfit’s contact information for any questions, complaints, or claims with respect to the App is set forth below. Third Party Terms of Agreement. You must comply with applicable third party terms of agreement when using the App, if any. By using the Misfit Properties you agree that you will defend, indemnify and hold harmless Misfit together with its employees, agents, directors, officers and shareholders, from and against all the liabilities, claims, damages and expenses (including reasonable attorneys' fees and costs) arising out of (a) your use of the Misfit Properties, (b) your breach or alleged breach of these Terms, (c) your violation or alleged violation of applicable laws or regulations or third party rights, and (d) any negligent acts, omissions, or willful misconduct by you. Misfit reserves the right to assume the exclusive defense and control of any matter otherwise subject to indemnification by you, and, in such case, you shall agree to cooperate with Misfit's defense of such claim. You agree not to settle any matter without the prior written consent of Misfit. Misfit will use reasonable efforts to notify you of any such claim, action or proceeding upon becoming aware of it. When you visit our Site, the server housing the pages automatically generates a “session log.” We use session logs to help us determine how people travel through our Site. In this way, we can structure our pages so that the information most frequently visited is easier to find. By tracking page visits, we can also determine if the information we're providing is being used. The only data gathered is the Internet Protocol (IP) address from which you came (which contains no personal information), the web site that referred you, the pages you visited and the date and time of those visits. MISFIT DOES NOT OFFER MEDICAL ADVICE. ANY CONTENT ACCESSED THROUGH THE MISFIT PROPERTIES ARE FOR INFORMATIONAL AND EDUCATIONAL PURPOSES ONLY AND ARE NOT INTENDED TO COVER ALL POSSIBLE USES, DIRECTIONS, PRECAUTIONS, DRUG INTERACTIONS, OR ADVERSE EFFECTS. THE CONTENT SHOULD NOT BE USED DURING A MEDICAL EMERGENCY OR FOR THE DIAGNOSIS OR TREATMENT OF ANY MEDICAL CONDITION. PLEASE CONSULT YOUR DOCTOR OR OTHER QUALIFIED HEALTH CARE PROVIDER IF YOU HAVE ANY QUESTIONS ABOUT A MEDICAL CONDITION, OR BEFORE TAKING ANY DRUG, CHANGING YOUR DIET, OR COMMENCING OR DISCONTINUING ANY COURSE OF TREATMENT. DO NOT IGNORE OR DELAY OBTAINING PROFESSIONAL MEDICAL ADVICE BECAUSE OF INFORMATION ACCESSED THROUGH THE MISFIT PROPERTIES. CALL 911 OR YOUR DOCTOR FOR ALL MEDICAL EMERGENCIES. TO THE MAXIMUM EXTENT PERMITTED BY APPLICABLE LAW, THE MISFIT PROPERTIES ARE PROVIDED ON AN “AS-IS” AND “AS AVAILABLE” BASIS WITH ALL FAULTS AND WITHOUT WARRANTY OF ANY KIND, AND MISFIT (AND OUR SUPPLIERS AND LICENSORS) EXPRESSLY DISCLAIM ANY AND ALL WARRANTIES AND CONDITIONS OF ANY KIND WITH RESPECT TO THE MISFIT PROPERTIES, WHETHER EXPRESS, IMPLIED, OR STATUTORY, INCLUDING ALL WARRANTIES OR CONDITIONS OF MERCHANTABILITY, FITNESS FOR A PARTICULAR PURPOSE, TITLE, QUIET ENJOYMENT, ACCURACY, AND NON-INFRINGEMENT. WE (AND OUR SUPPLIERS AND LICENSORS) MAKE NO WARRANTY THAT THE MISFIT PROPERTIES WILL MEET YOUR REQUIREMENTS, WILL BE AVAILABLE ON AN UNINTERRUPTED, TIMELY, SECURE, OR ERROR-FREE BASIS, OR WILL BE ACCURATE, RELIABLE, FREE FROM VIRUSES OR OTHER HARMFUL CODE, COMPLETE, LEGAL, OR SAFE. NO ORAL OR WRITTEN INFORMATION OR ADVICE GIVEN BY MISFIT OR ITS AUTHORIZED REPRESENTATIVES SHALL CREATE A WARRANTY. SOME JURISDICTIONS DO NOT ALLOW THE EXCLUSION OF CERTAIN WARRANTIES, REPRESENTATIONS, OR CONDITIONS, THE LIMITATION OR EXCLUSION OF IMPLIED WARRANTIES, OR LIMITATIONS ON HOW LONG AN IMPLIED WARRANTY MAY LAST, SO SOME OF THE ABOVE LIMITATIONS MAY NOT APPLY IN FULL TO YOU. IF APPLICABLE LAW REQUIRES ANY WARRANTIES WITH RESPECT TO THE MISFIT PROPERTIES, ALL SUCH WARRANTIES ARE LIMITED IN DURATION TO NINETY (90) CALENDAR DAYS FROM THE DATE OF FIRST USE AND MISFIT’S LIABILITY FOR BREACH THEREOF SHALL BE LIMITED AT MISFIT’S OPTION TO ONE OR MORE OF THE FOLLOWING: (1) WHERE THE BREACH OF THE CONDITION OR WARRANTY RELATES TO GOODS, THE REPLACEMENT OR REPAIR OF THE GOODS, THE SUPPLY OF EQUIVALENT GOODS, OR PAYMENT OF THE COST OF DOING SO; AND (2) WHERE THE BREACH OF THE CONDITION OR WARRANTY RELATES TO SERVICES, THE SUPPLY OF SERVICES AGAIN, OR THE PAYMENT OF THE COST OF HAVING THEM SUPPLIED AGAIN. These Terms are subject to change by Misfit in its sole discretion at any time and from time-to-time. 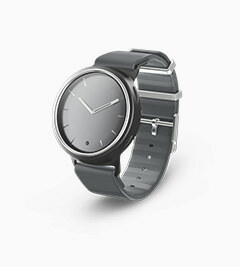 When changes are made, Misfit will make a new copy of the Terms available on the Site. We will also update the “Last Updated” date at the top of these Terms. If we make any material changes to these Terms and you have a Member Account, we will send an e-mail to you at the last e-mail address you provided to us pursuant to these Terms. Any changes to these Terms will be effective immediately for new users of the Misfit Properties and will be effective thirty (30) calendar days after posting notice of such changes on the Site for existing users. Misfit may require you to provide consent to the updated Terms in a specified manner before further use of the Misfit Properties is permitted. If you do not agree to any changes after receiving a notice of such changes, you must stop using the Misfit Properties immediately and you are no longer authorized to use the Misfit Properties. Otherwise, your continued use of the Misfit Properties constitutes your acceptance of such changes. PLEASE REGULARLY CHECK THE SITE TO VIEW THE THEN-CURRENT TERMS. Misfit controls and operates the Misfit Properties from its headquarters in the United States of America and other jurisdictions. The Misfit Properties and information available on or via the Misfit Properties may not be appropriate or available for use in other locations. If you use the Misfit Properties outside the United States of America, you are responsible for following applicable local laws. You agree that submission of any ideas, suggestions, documents, or proposals to Misfit through its suggestion, feedback, wiki, forum, or similar pages (“Feedback”), which exist now or which may exist in the future, is at your own risk and that Misfit has no obligations (including, without limitation, obligations of confidentiality) with respect to such Feedback. You represent and warrant that you have all rights necessary to submit the Feedback. In consideration of the rights to use the Service granted herein, you hereby grant to Misfit a fully paid, royalty-free, perpetual, irrevocable, worldwide, non-exclusive, and fully sublicensable right and license to use, reproduce, perform, display, distribute, adapt, modify, re-format, create derivative works of, and otherwise commercially or non-commercially exploit in any manner it deems appropriate, any and all Feedback, and to sublicense the foregoing rights. 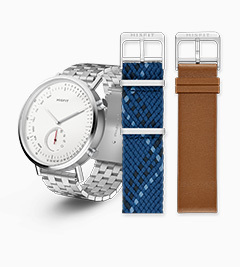 Misfit will treat any Feedback you provide to Misfit as non-confidential and non-proprietary. Subject to this Section, these Terms will remain in full force and effect while you use the Misfit Properties. We may suspend or terminate your rights to use the Misfit Properties (including your Member Account) at any time, and from time-to-time, for any reason in our sole discretion, including for any use of the Misfit Properties in violation of these Terms. Upon termination of your rights under these Terms, your Member Account and right to access and use the Misfit Properties will terminate immediately. We will not have any liability whatsoever to you for any termination of your rights to use the Misfit Properties, including for termination of your Member Account. You may cancel your Member Account at any time by contacting us. Even after your rights under these Terms are terminated, all provisions of these Terms which by their nature should survive, will survive, including, without limitation, ownership provisions, indemnification, warranty disclaimers, and limitations of liability. Entire Agreement. These Terms constitute the entire and exclusive understanding and agreement between Misfit and you regarding the Misfit Properties, and these Terms supersede and replace any and all prior oral or written understandings or agreements between Misfit and you regarding the Misfit Properties. If for any reason a court of competent jurisdiction finds any provision of these Terms invalid or unenforceable, that provision will be enforced to the maximum extent permissible and the other provisions of these Terms will remain in full force and effect. The section titles in these Terms are for convenience only and have no legal or contractual effect. The word “including” means “including without limitation.” Your relationship to Misfit is that of an independent contractor, and neither party is an agent or partner of the other. Assignment. You may not assign or transfer these Terms, by operation of law or otherwise, without Misfit’s prior written consent. Any attempt by you to assign or transfer these Terms, without such consent, will be null and void. 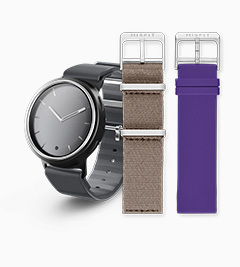 Misfit may freely assign or transfer these Terms without restriction. Subject to the foregoing, these Terms will bind and inure to the benefit of the parties, their successors and permitted assigns. Electronic Communications. The communications between you and Misfit use electronic means. For contractual purposes, you (a) consent to receive communications from Misfit in an electronic form, and (b) agree that all terms and conditions, agreements, notices, disclosures, and other communications that Misfit provides to you electronically satisfy any legal requirement that such communications would satisfy if it were in a hardcopy writing. The foregoing does not affect your non-waivable rights. Waiver; Remedies. Misfit’s failure to enforce any right or provision of these Terms will not be considered a waiver of such right or provision. The waiver of any such right or provision will be effective only if in writing and signed by a duly authorized representative of Misfit. Except as expressly set forth in these Terms, the exercise by either party of any of its remedies under these Terms will be without prejudice to its other remedies under these Terms or otherwise. Copyright/Trademark Information. Copyright © 2015 Misfit. All rights reserved. All trademarks, logos, and service marks (“Marks”) displayed on the Misfit Properties are our property or the property of other third parties. You are not permitted to use these Marks without our prior written consent or the consent of such third party which may own the Marks. Arbitration Agreement; Class Waiver; Waiver of Trial by Jury. Please read this Arbitration Agreement carefully. It is part of your contract with Misfit and affects your rights. It contains procedures for MANDATORY BINDING ARBITRATION AND A CLASS ACTION WAIVER. Applicability of Arbitration Agreement. All claims and disputes (excluding claims for injunctive or other equitable relief as set forth below) in connection with these Terms and any applicable supplemental terms or the use of the Service that cannot be resolved informally or in small claims court shall be resolved by binding arbitration on an individual basis under the terms of this arbitration agreement. This arbitration agreement applies to you and Misfit, and to any subsidiaries, affiliates, agents, employees, predecessors in interest, successors, and assigns, as well as all authorized and unauthorized users or beneficiaries of the Services provided pursuant to these Terms. Notice Requirement and Informal Dispute Resolution. Before either party may seek arbitration, the party must first send to the other party a written notice of dispute (“Notice”) describing the nature and basis of the claim or dispute, and the requested relief. A Notice to Misfit should be sent to: 839 Mitten Road, Suite 100, Burlingame, CA 94010. After the Notice is received, you and Misfit may attempt to resolve the claim or dispute informally. 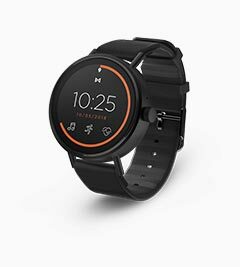 If you and Misfit do not resolve the claim or dispute within thirty (30) calendar days after the Notice is received, either party may begin an arbitration proceeding. The amount of any settlement offer made by any party may not be disclosed to the arbitrator until after the arbitrator has determined the amount of the award, if any, to which either party is entitled. Arbitration Rules. Arbitration shall be initiated through the American Arbitration Association (“AAA”), an established alternative dispute resolution provider (“ADR Provider”) that offers arbitration as set forth in this section. If AAA is not available to arbitrate, the parties shall agree to select an alternative ADR Provider. The rules of the ADR Provider shall govern all aspects of this arbitration, including, but not limited to, the method of initiating and demanding arbitration, except to the extent such rules are in conflict with these Terms. The AAA Consumer Arbitration Rules governing the arbitration are available online at www.adr.org or by calling the AAA at 1-800-778-7879. The arbitration shall be conducted by a single, neutral arbitrator. Any claims or disputes where the total amount of the award sought is less than Ten Thousand U.S. Dollars (USD $10,000.00) may be resolved through binding non-appearance-based arbitration, at the option of the party seeking relief. For claims or disputes where the total amount of the award sought is Ten Thousand U.S. Dollars (USD $10,000.00) or more, the right to a hearing will be determined by the arbitration rules. Any hearing will be held in a location within 100 miles of your residence, unless you reside outside of the United States, and unless the parties agree otherwise. Any judgment on the award rendered by the arbitrator may be entered in any court of competent jurisdiction. If the arbitrator grants you an award that is greater than the last settlement offer that Misfit made to you prior to the initiation of arbitration, Misfit will pay you the greater of the award or $2,500. Each party shall bear its own costs (including attorney’s fees) and disbursements arising out of the arbitration, and shall pay an equal share of the fees and costs of the ADR Provider. Time Limits. If you or Misfit pursue arbitration, the arbitration action must be initiated and demanded within the statute of limitations (i.e., the legal deadline for filing a claim) and within any deadline imposed under the AAA Rules for the pertinent claim. Authority of Arbitrator. If arbitration is initiated, the arbitrator will decide the rights and liabilities, if any, of you and Misfit, and the dispute will not be consolidated with any other matters or joined with any other cases or parties. The arbitrator shall have the authority to grant motions dispositive of all or part of any claim. The arbitrator shall have the authority to award monetary damages and to grant any non-monetary remedy or relief available to an individual under applicable law, the AAA Rules, and these Terms. The arbitrator shall issue a written award and statement of decision describing the essential findings and conclusions on which the award is based, including the calculation of any damages awarded. The arbitrator has the same authority to award relief on an individual basis that a judge in a court of law would have. The award of the arbitrator is final and binding upon you and Misfit. Waiver of Jury Trial. THE PARTIES HEREBY WAIVE THEIR CONSTITUTIONAL AND STATUTORY RIGHTS TO GO TO COURT AND HAVE A TRIAL IN FRONT OF A JUDGE OR A JURY, instead electing that all claims and disputes shall be resolved by arbitration under these Terms. Arbitration procedures are typically more limited, more efficient, and less costly than rules applicable in court and are subject to very limited review by a court. In the event any litigation should arise between you and Misfit in any state or federal court in a suit to vacate or enforce an arbitration award or otherwise, YOU AND MISFIT WAIVE ALL RIGHTS TO A JURY TRIAL, instead electing that the dispute be resolved by a judge. Right to Waive. Any or all of the rights and limitations set forth in this arbitration agreement may be waived by the party against whom the claim is asserted. Such waiver shall not waive or affect any other portion of this arbitration agreement or these Terms. Survival of Agreement. This arbitration agreement will survive the termination of your relationship with Misfit. Small Claims Court. Notwithstanding the foregoing, either you or Misfit may bring an individual action in small claims court. Courts. In any circumstances where the foregoing Agreement permits the parties to litigate in court, the parties hereby agree to submit to the personal jurisdiction of the courts located within Burlingame, California for such purpose. Governing Law. These Terms and any action related thereto will be governed and interpreted by and under the laws of the State of California, consistent with the Federal Arbitration Act, without giving effect to any principles that provide for the application of the law of another jurisdiction. The United Nations Convention on Contracts for the International Sale of Goods does not apply to these Terms. Export. The Misfit Properties may be subject to the export control laws of the United States and other countries and may be subject to import regulations in other countries. You agree not to export, re-export, or transfer, directly or indirectly, any technical data acquired from Misfit, or any products utilizing such data, in violation of the export laws or regulations of the United States or other countries. Consumer Complaints. In accordance with California Civil Code §1789.3, if you are a California resident, you may report complaints to the Complaint Assistance Unit of the Division of Consumer Product of the California Department of Consumer Affairs by contacting them in writing at 400 R Street, Sacramento, CA 95814, or by telephone at (800) 952-5210. Questions. If you have any questions, complaints or claims with respect to the Misfit Properties, please contact us. We will do our best to address your concerns. If you feel that your concerns have been addressed incompletely, we invite you to let us know for further investigation.